This is not, I’m sorry to say, Paul O’Neill fans, a post about the Yankees making themselves in number 21’s image. This is not a post about the Yankees being gritty and gutty and all those other things. This is about taking a cue from a team 2,906 miles away that has been dominating its sport for years, and shows few signs of stopping. I’d love to see the Yankees build a superteam this offseason just to see how that plays out over 162 games. Very intriguing and obviously risky but that would be something special for baseball. Becoming the Golden State Warriors of baseball should be Hal’s priority right now. There are obvious differences between the situations in the Bay Area and the Bronx. The former plays in a salary cap league whereas the latter doesn’t, though the luxury tax is certainly acting as a de facto tax for most teams. Additionally, individual basketball players have a much bigger impact on the team than individual baseball players do, generally speaking. The playoffs in which the Warriors play are also a lot more predictable than baseball ones. But the Yankees could take a page from the Warriors’ playbook in pushing themselves over the edge to championship territory. In Steph Curry, Draymond Green, and Klay Thompson, the Warriors drafted and developed three great core players and built around them with trades and signings, including grabbing Kevin Durant, a top-3 player in the NBA. Could they have won and kept winning without him? Probably, but why risk it? You could argue the Yankees did something similar in developing talent like Luis Severino, Gary Sanchez, Miguel Andujar, Aaron Judge, and (partially) Gleyber Torres. You wouldn’t be wrong. You could even make the KD analogy with the Yankees having acquired Giancarlo Stanton about a year ago. But as we’ve established, baseball isn’t basketball and sometimes, one big ticket item isn’t enough. The Yankees need to go out and get more. The Yankees can go out and get more. Bryce Harper and Manny Machado are as close to the caliber of Kevin Durant as a free agent in 2018-19 could be. Grabbing one of them would probably be enough, but why should the Yankees stop there? Grab them both. Grab, as Bob said yesterday, Patrick Corbin. Trade for Corey Kluber. Add on to trading for James Paxton. Becoming a super team in baseball doesn’t guarantee anything–just look at the Phillies with their rotation from a few years ago–but it certainly helps. The Yankees have the resources to become the Warriors of MLB and the only thing holding them back is their own will, or lack thereof. Bronx brass–Hal Steinbrenner and Brian Cashman–aren’t wrong when they say that you don’t need a $200M+ payroll to win. But there are no points for “efficiency.” You don’t get a boost for winning with a low $/WAR or anything like that. The biggest advantage the Yankees have is their financial might and they should flex it at every turn, especially in free agency when the free agents available are so talented and so fit the Yankees–and any team’s–needs. Choosing not to do so is like trying to hit a pinata blindfolded and swinging a cardboard tube instead of a bat or stick. The game is hard enough as it is; why sacrifice something else to make it harder on yourself? Nothing ever happens in a vacuum. When decisions are made–or not made–there is always some context to consider. We make our choices to do or do not, be or not be based on the circumstances that surround whatever situation we’re in. Then, those choices have consequences, which lead to new contexts, which lead to new choices, which lead to…you get where this goes. Yesterday, a choice the Cubs made got me thinking about a choice the Yankees didn’t and the possible consequences of that non-choice. 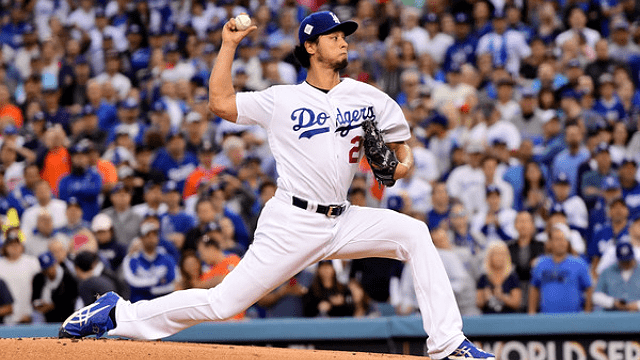 The Cubs signed free agent pitcher Yu Darvish, someone to whom the Yankees were linked for much of the offseason. The deal has a $126M base salary, with incentives to bring it up to $150M, over six years. As Mike said in the post, seems about right. Maybe it’s a little less inflated than recent pitcher contracts have been, especially given Darvish’s track record and reputation, but underwhelming contract returns seems to be a theme of the 2017-2018 Hot Stove. Despite that, and the aforementioned connection between the Bombers and Yu, Ken Rosenthal revealed that the team never even made an offer to sign Darvish. Why not? Say it with me, folks: the luxury tax. By now, with Darvish off the table, Spring Training days away, and no other salary-related trades made since the Chase Headley one, I’m resigned to the fact that the Yankees are, very clearly, going to stay under the tax threshold. And I get it, when thinking from their point of view. It gives them savings shortly down the road that they’ll use to invest back into the team. On top of that, the team, as presently constructed, is good enough to win without adding a big piece. ZiPS and PECOTA have them at 93 and 96 wins respectively, both marks projected to win the division, the latter quite comfortably. And as counter intuitive as it may be, that rosy projection has me worried about the Yankees’ plans to spend going forward. 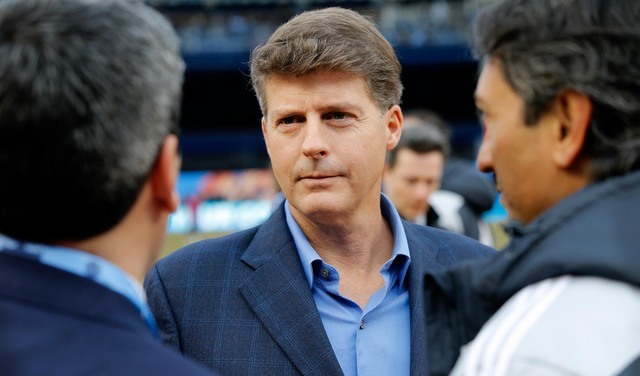 For a few years now, both Hal Steinbrenner and Brian Cashman have beat a similar drum, one whose tune says “you don’t have to spend $200M to be a winner.” There’s truth to that statement and the Yankees are finally in a position to make it true. Between Luis Severino and Jordan Montgomery in the rotation, along with Aaron Judge, Gary Sanchez, and Greg Bird in the lineup, as well as Chad Green in the bullpen, the Yankees have plenty of impact players making dirt cheap salaries. That’s to say nothing of both the depth and high-end potential of their minor league players–spearheaded by Gleyber Torres and Justus Sheffield–and their apparent starting third baseman, Miguel Andujar. This team is set up to win in the short term and the long term, just what everyone wants. And the more I think about it, the more likely it seems that the Yankees will not reinvest their luxury tax savings if they win this year. Eight months from now, it’ll be November. The Yankees will almost certainly have made the playoffs. They’ll probably have one at least one round. They may have even gotten to and/or won the World Series. And those things, no matter how minimal, are going to influence the Yankees. With last year’s performance, the Yankees arrived ahead of schedule. They were able to win without a huge splash in the free agent market, and are poised to do so this year. The trade for Giancarlo Stanton makes them less likely to go after Bryce Harper, who’d really have no room to play in the Yankees’ outfield in 2019 and beyond. If the team wins with Miguel Andujar at third base all year, and he comports himself as well as he can and is able to, the Yankees could reasonably pass on Manny Machado, too. If Machado is set on playing shotstop, the Yankees can always point to Didi Gregorius and Gleyber Torres as reasons not to sign him to a big money deal. It’s not necessarily a bad thing for the Yankees to sit out the free agent market next year if they show great success this year. Winning is winning, after all, regardless of how much you spend. But the Yankees’ actions this year, especially on the pitching market, and their team construction make me think they’re going to skip reinvesting the potential and probable luxury tax savings from 2018. That’s their prerogative since it’s their team, their money, etc. And if you can win and spend less doing it? Great! But we’ve been told for years that this plan was to get them reset to spend big when the time came. I can’t help but feel we’re in for a bait and switch. Eleven days from now, pitchers and catchers will report to Tampa and the Yankees will open Spring Training. Among those who will show up for work that day is Aroldis Chapman, the team’s new old closer. The Yankees signed Chapman to a five-year deal worth $86M back in December. It includes an opt-out after year three. To be fair, Steinbrenner later told David Lennon he meant to say “forgive,” not “forget,” which is only slightly better. Anyway, Hal’s agenda became pretty clear after he acknowledged the Yankees re-signed Chapman in part because he puts butts in the seats. Please like my temperamental $17M a year closer. That’s what this all sounds like. Forget about the ugly stuff and look at those 105 mph fastballs wowie! Steinbrenner committed an awful lot of money to Chapman and he wants fans to like him. I get it. But dude, don’t tell people they should forgive him or worse, forget about it. That’s one of those things that, even if you believe it, say it in your head and not out loud, you know? This is a sensitive subject. Telling people to forget it ain’t cool. As with anything in life, telling people how to feel isn’t a great idea. The Yankees have a chance to be really exciting this coming season because Gary Sanchez and Aaron Judge are going to sock dingers, because Didi Gregorius is going to flash leather at shortstop, and because Masahiro Tanaka is an artist on the mound. Chapman will be part of that excitement too. Fans are under no obligation to forgive him or forget about his history though, whether Hal likes it or not. Hal and Cashman say the Yankees are not ready to sell because what else are they supposed to say? Even with yesterday’s dramatic win, the Yankees came into today with a 35-36 record and a 12.6% chance to make the postseason, per FanGraphs. They’re six games back in the AL East and 3.5 games back of a wildcard spot. Insurmountable deficits? Of course not. But the Yankees have their work cut out for them. No doubt. “I believe we’re going to be right smack in the middle of it by the end of July,” he said Monday at Cipriani in Midtown Manhattan at the annual Harlem RBI “Bids for Kids” fundraising dinner. “We’ll have to see at the end of July, like we always do. We’ll take a look at everything. Interestingly, Cashman also ducked questions about whether he’s ever recommended selling to ownership in previous years. It has long been rumored the baseball operations folks pushed to trade Robinson Cano once they realized re-signing him after the 2013 season was going to be impossible, but ownership wouldn’t give the thumbs up. Who knows whether that is true. Anyone, I have some things to say about Hal’s and Cashman’s comments. 1. What did you expect them to say? I mean, seriously. Even if the Yankees were 100% committed and ready to sell right now, Hal and Cashman would still tell reporters they’re not planning to sell. I don’t think the Yankees are ready to sell now, but what the hell do I know? Either way, there is nothing to be gaining by declaring yourself a seller. You end up killing your own leverage by making it known you’re ready to move players. The Yankees are going to insist they are not sellers right up until the second they actually sell. 2. Winning helps them as sellers, you know. Selling is a weird concept and frankly, most of us have never experienced it as Yankee fans. If you want the Yankees to sell, you want them to keep losing so they decide to take the plunge and actually sell. At the same time, winning and staying in the race does give the team some extra leverage. If the Yankees are, say, two games out of a wildcard spot on July 31st, they could at least give off the impression that they’re willing to keep guys like Aroldis Chapman and Carlos Beltran and have it be believable. That won’t happen if they’re something like seven games back and six teams ahead of them. Yes, losing a lot may convince the team to sell. That’s usually how it works. But if the Yankees do decide to move guys like Beltran and Chapman, winning a few games wouldn’t be the end of the world either. 3. It’s possible to both buy and sell. Cashman made an interesting comment the other day about the Yankees possibly being buyers and sellers. Those can be considered conflicting ideas, but they’re really not. At the end of the day the goal is to improve the team, and both buying and selling are steps toward achieving that goal. It would be possible for the Yankees to move someone like Beltran for prospects at the deadline while also moving some young players for help elsewhere on the roster. Maybe a Triple-A outfielder and a lower level prospect for a young big league pitcher. See what I mean? They’d be selling Beltran and buying a young arm. It doesn’t have to be buy or sell. They can do both. The buy or sell question is not going away, not unless the Yankees go on an insane run and find themselves firmly in the postseason picture come the end of July. That’s the only way they could ever become clear cut buyers this season, and let’s be honest, that’s just not going to happen. The Yankees haven’t given us any reason to think they’re capable of going on a run like that. So Hal and Cashman can expect more questions about selling in the coming weeks and we should expect more of the same answers. We’ll look at everything at the end of July, blah blah blah, yadda yadda yadda. The Yankees really have perfected the art of saying a lot of words while saying nothing at all. Ultimately, the decision rests with ownership. Cashman can recommend selling and I don’t think he’d have any problem doing so. The question is whether Hal & Co. will bite the bullet and give the okay if the team is still on the fringes of the postseason picture. There comes a day when you rectify the team you are with the team you want to be; the Yankees can’t seem to make the two things coexist. On the good side of things, the Yankees lead the American League in both strikeout percentage and walk rate from the mound. They’ve also got a respectable 91 FIP- and a 100 ERA-, suggesting their pitching may still have some room to grow. On the bad side of things, the Yankees have scored the second fewest runs in the AL, just eight more than the lowly Twins. Their 88 wRC+ is also the second worst in the Junior Circuit, just two points ahead of the trailing Twins. As Memorial Day is generally the first ‘mile marker’ of the year, today’s as good a time as any to look at the road ahead by reflecting on the road behind. One way of doing that is heading over to FanGraphs and checking out the playoff odds section, which lets you sort by a few things. In the spirit of looking back, here are the Yankees’ playoff odds based on their season to date stats. A 3.9% chance to win the division. An 8.7% chance to win the wild card. Those don’t look good, obviously, thanks to the poor performances the Yankees have turned in at the plate. Bounce backs from Mark Teixeira and Alex Rodriguez would help those numbers creep up, but they’re still fairly low. If we decide to be more fair to the team and acknowledge the uncharacteristically bad performance at the plate, we can go peek at the playoff odds using rest of season projections instead. Those numbers look a little better–4.5% for the division and 16.4% for the wild card–but they still aren’t anything spectacular. Their deficits in both the AL East and wild card standings–5.5 and 4.5 games respectively–are not insurmountable, especially considering it’s not quite yet June. But in the AL East, the Yankees have three teams to brush aside, including the first place Red Sox. In the wild card, it’s six teams, including the leading Orioles and Rangers. Allowing for some dramatics, the day of reckoning is fast approaching for the Yankees. At some point soon–maybe by mid-June–they need to make a decision, and an honest one at that. This is something the Yankees have struggled with in recent years, but hopefully it’s something they put some earnest reflection into over the next few weeks. Their playoff odds are bad. The team is flawed in multiple ways. Fighting or a five hundred record or to be ‘in it’ in the last week of the season with some vague, outside, puncher’s chance at the second wild card is not worth it. There are still enough valid pieces on this team that can contribute to next year which can be properly bolstered by jettisoning the right assets. A smart man who used to comment ’round these parts used to say that the Yankees are a win now and win later team and the Yankees need to focus on the latter at this point in the season. Trade some of the present for some of the future and be honest about it with the fans. Trusting that the fans can handle an honest to goodness rebuild is something the Yankee brass has been reluctant to do, but there’s no better time to start than now. It’s not likely this team is going anywhere in 2016 and preparing for 2017 is the responsible thing to do. Not only did Hal say there are no plans to sell the team, he said there is a long-term plan in the works to hand the Yankees over to the next generation of Steinbrenners, namely his daughter Katherine, Hank’s children (George and Julia), Jessica Steinbrenner Malloy’s son (Robert Malloy), and Jennifer Steinbrenner Swindal’s son (Stephen Swindal Jr.). They all want to get involved. Forbes valued the Yankees at $3.2 billion at this time last year, though that doesn’t mean the Steinbrenners would ask for $3.2 billion for the team in a sale. It’s more complicated than that. The Dodgers sold for $2 billion a few years ago, but included in the sale was the land around Dodger Stadium and also the potential for a massive television contract, which was signed shortly after the team’s sale. The Yankees can’t sell any land and they have their own network already. The Dodgers sale isn’t a great reference point. Anyway, I’m not surprised Hal says the team will stay in the family. Owning the Yankees is mighty lucrative, even with the club mired in quasi-contention and both attendance and ratings trending down. And once they get under the luxury tax threshold in a year or two — Hal reiterated to Matthews that that’s the plan — they stand to rake in even more money. This isn’t a surprise, right? Payroll has held relatively steady for a decade now even though the new Yankee Stadium opened in 2009 and MLB signed ginormous new national television deals two years ago. To be fair, the Yankees do pay a ton in luxury tax and revenue sharing each year. But still, payrolls around the league are going up while New York’s remain static. Back of the envelope calculation: the Yankees currently have $223.6M on the books for next season per Cot’s, assuming Aroldis Chapman and Ivan Nova win their arbitration cases. Add in the rest of the 40-man roster and the $12M or so each team has to contribute towards player benefits, and the payroll for luxury tax purposes is around $240M right now. The Yankees finished last season with a $241.15M payroll for luxury tax purposes and are again right at that number. The salary they took on in the Chapman and Starlin Castro trades replaces what they shed in Chris Capuano, Stephen Drew, Chris Young, and Garrett Jones after the season. Also, the Yankees still haven’t signed an MLB free agent this winter. You don’t have to look any further than the Yankees roster to understand why spending huge on free agents all the time isn’t a great idea. That said, I think it’s fair to say the team is not leveraging its financial might as well as they should. The rest of the league is catching up financially, so the market advantages of being a New York team are going to waste. Hal has maintained his plan is to get under the luxury tax threshold in the near future, which would save the team tens of millions of dollars in luxury tax and revenue sharing. The Collective Bargaining Agreement expires in December, and I assume the $189M threshold will go up with the next CBA. After getting under in 2017, the team could increase payroll substantially. We’ll see.